This year we've created something extra special for your Christmas and holiday shopping experience at Loft 352 Salon. With a larger variety of premade sets and lots of wonderful exclusive items in packaging that is beyond incredible and supports a great cause you'll be sure to find the perfect gift for your loved ones, friends and co-workers. We're bringing back our famous Loft Cash deal early for those who purchase Gift Sets! 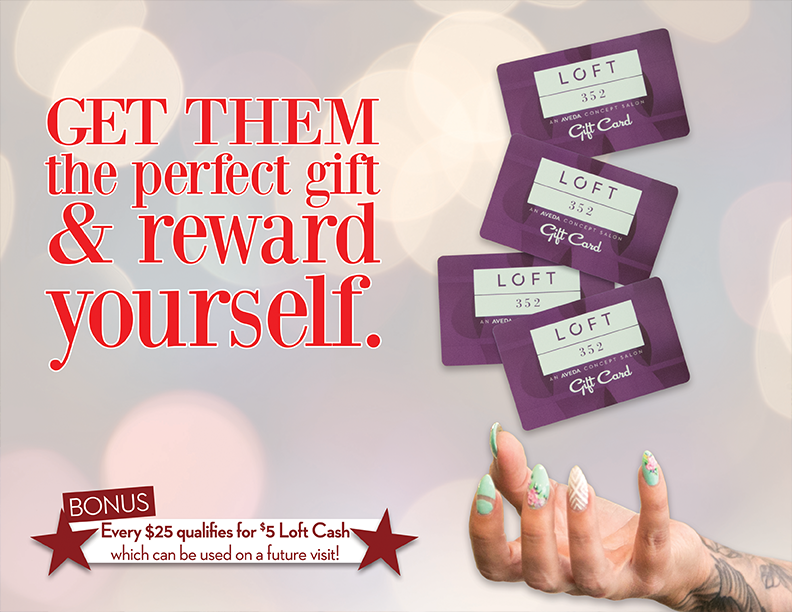 You'll receive $5 Loft Cash for every $25 spent on Gift Sets through Christmas! You can use the Loft Cash on any future visit for anything you'd like. We normally start the Loft Cash promotion on Black Friday, but this year we've already started it for anyone purchasing Gift Sets! Want to create your own gift set? We can do that to...and we'll wrap it for you in the same great packaging you've come to expect from Loft 352 and Aveda. Stop by Loft 352 Salon today to see these beautiful Gift Sets in person and earn Loft Cash to pamper yourself! Aveda's purchase of handcrafted paper employs 5,500* people in Nepal. Aveda helps the communities they work with and the environments they protect to create a better and independent future. 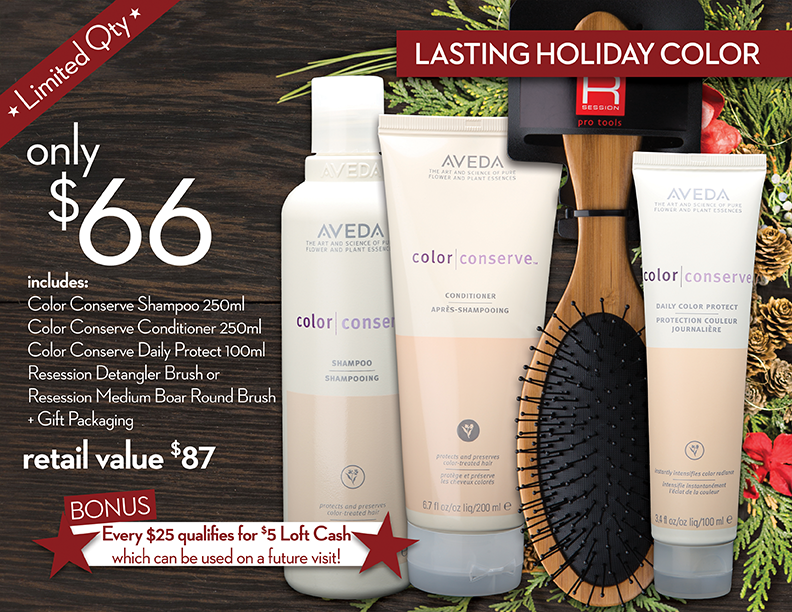 Watch this video to learn how your purchase of an Aveda Holiday Gift Set helps people of Nepal by providing jobs, clean water and opportunities to get education. *Full and part-time.